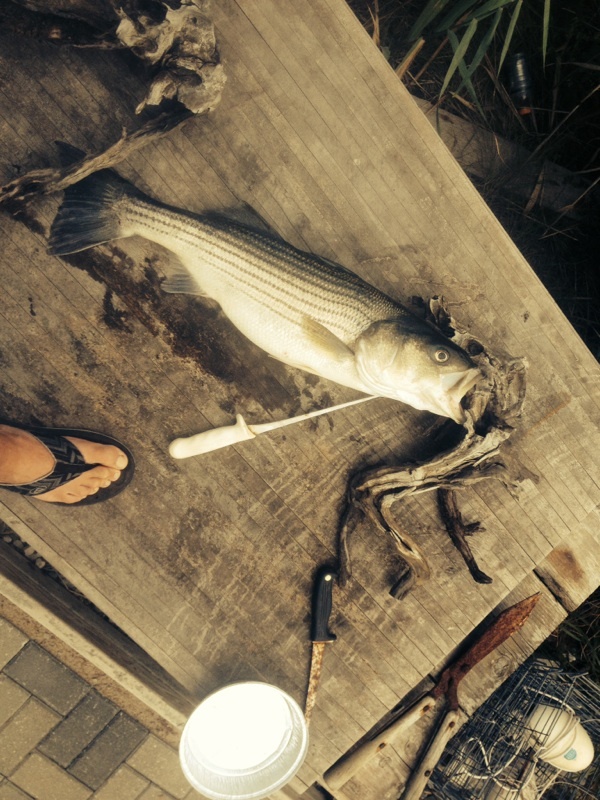 Kept one of today’s striped bass for dinner, a 30″ er. Beautiful, glass calm gin clear waters. Very quite , zero fishing pressure, no wave runners, absultly nobody around. This makes for a good time to stalk striped bass up on the flats. It is very much like fishing for bonefish on the tropical sand flats. 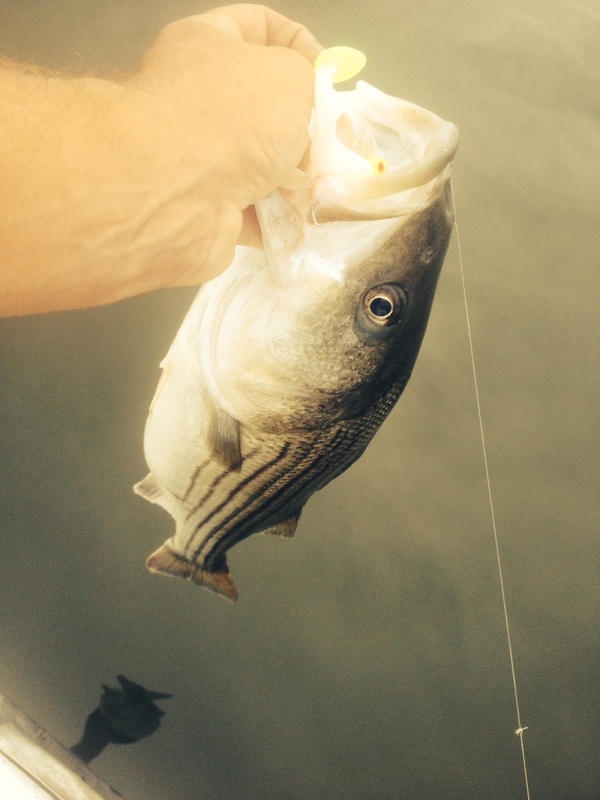 The difference being, striped bass are bigger and strong game fish. Striped bass are caught in a number of ways,trolling,chumming with clams, drifting live eels, all fun. However, catching these world class game fish in the shallow waters of our sand and mud flats, on light tackle or fly rod, is truly sport fishing at its best.